樊绍巍, 吴军, 金明河, 等. 同步三指式末端执行器的目标位姿估计方法[J]. 哈尔滨工程大学学报, 2019, 40(2), 359-364. DOI: 10.11990/jheu.201705043. FAN Shaowei, WU Jun, JIN Minghe, et al. 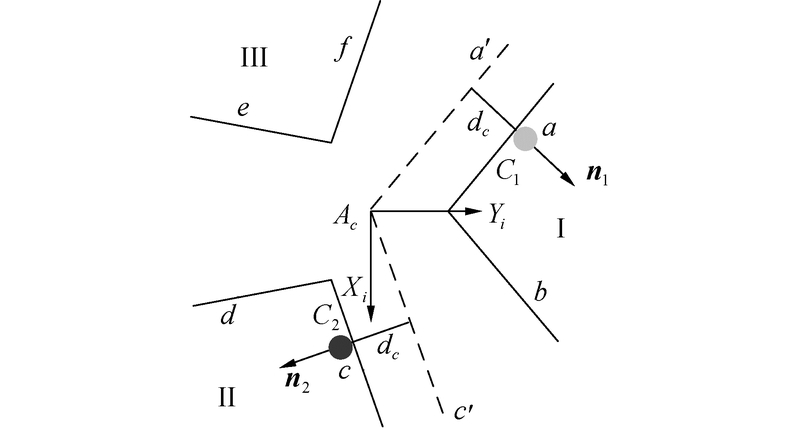 Pose estimation method for a simultaneous three-fingered end-effector[J]. Journal of Harbin Engineering University, 2019, 40(2), 359-364. DOI: 10.11990/jheu.201705043. 刘宏, 男, 教授, 博士生导师, 长江学者特聘教授. Abstract: To determine the target pose in the process of end-effector capturing, this study develops a pose estimation method for a simultaneous three-fingered end effector based on contact force information. 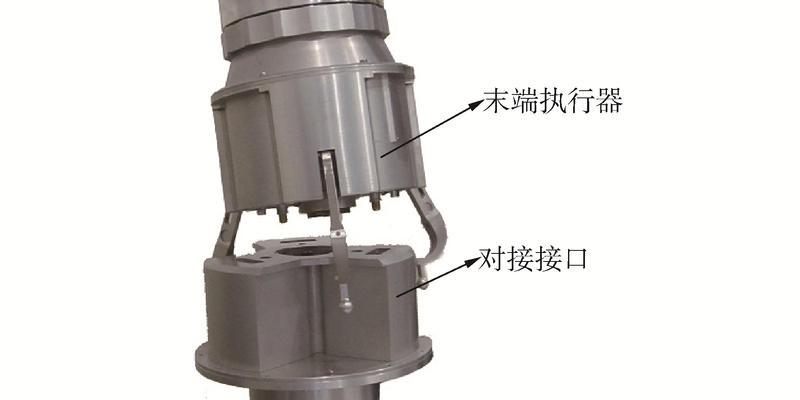 The pose estimation method is proposed after analyzing the geometric constraint characteristics of the end effector. First, the contact finger is estimated with the contact force. Then, the contact position and normal direction are estimated by combining the kinematic analysis results of the end effector. 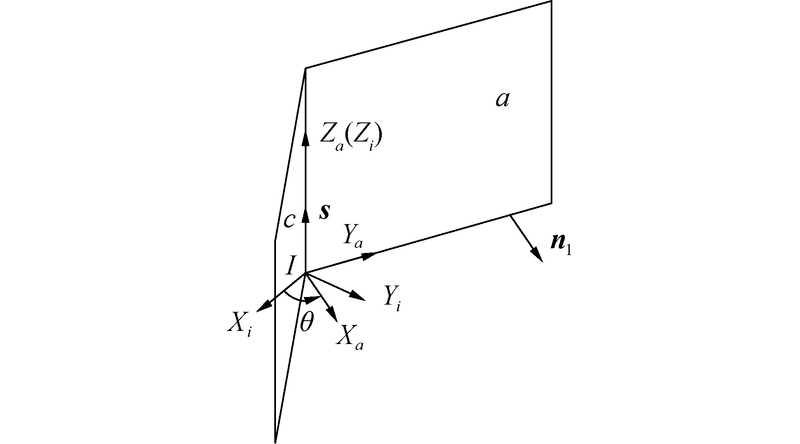 The spatial plane intersection method is adopted for pose estimation with two effective contact information. When obtaining redundant contact information, the least squares method is adopted to update the estimation results. Finally, simulation validates the effectiveness of the estimation method. The proposed method has general applicability to a certain extent and specific applicability to claw-shaped end effectors. 吕辛, 夏艳, 刘荣强. 欠驱动自适应式捕获装置设计[J]. 哈尔滨工程大学学报, 2016, 37(12): 1709-1715. 徐文福, 梁斌, 李成, 等. 空间机器人捕获非合作目标的测量与规划方法[J]. 机器人, 2010, 32(1): 61-69. 胡杰, 管贻生, 吴品弘, 等. 双手爪爬杆机器人对杆件的位姿检测与自主抓夹[J]. 机器人, 2014, 36(5): 569-575. 张禹, 孙奎, 张元飞, 等. 用于机械臂末端感知的激光测距传感器设计[J]. 机器人, 2014, 36(5): 519-526, 534.